Believe it or not, being a writer was my biggest dream as a kid. I used to make these little books, and write my own stories. As I got older, I was introduced to the world of novels. And I would spend hours with a book in bed. I was so fascinated by how books can bring you from one place to another. Thinking of it now, I guess my love for words did impact my choices and is the reason why I choose what I do now for a living. So, when 10/10 Apothecary reached out and told me about the Miller Harris Scherzo scent, I was more than excited. 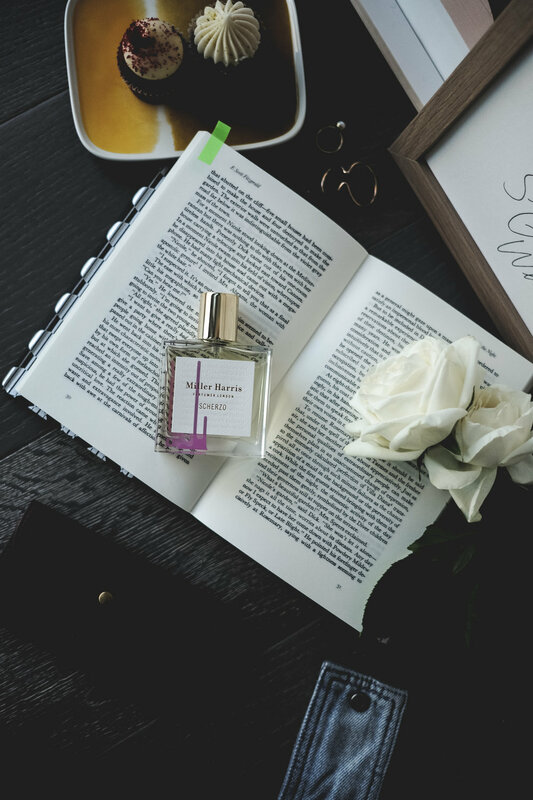 It's a scent dedicated to literature. Literature by Scott Fitzgerald, need I say more? First things first. Scott Fitzgerald is my favourite writer from the 20s. No jest. I mean, seriously, nobody portrays the Jazz age like he does. All that said, to me, there's always something novelty about the way Miller Harris creates their scent. For instance, this time, they had two perfumers read the same paragraph from Fitzgerald's Tenders is the Night, before they go on and create the scent notes: Scherzo & Tender. Pretty poetic, right? Just like how every reader can have unique thoughts on the same book. The perfumers portrayed the classic in two completely different ways. This particular one I'm sharing with you guys comes a relatively brighter & richer characteristic, just like its name Scherzo. 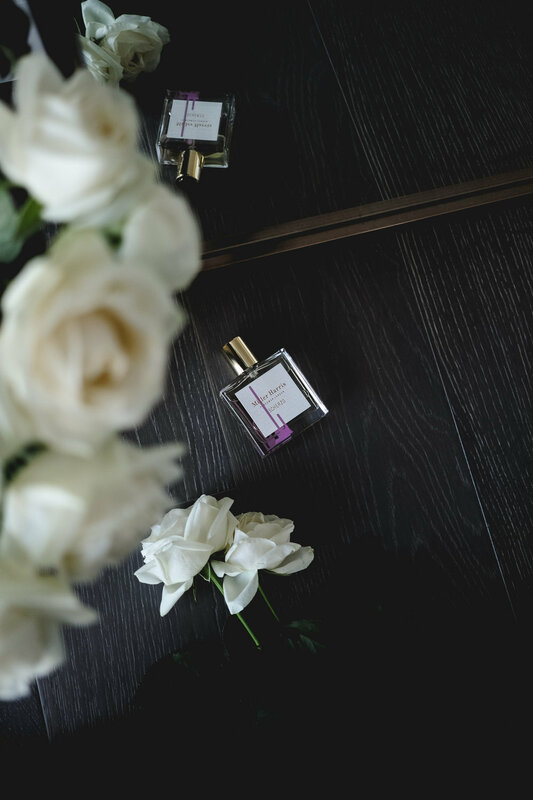 Begining with a citrus note of tangerine, followed by the powdery rose whiff, and rounding off with a wealth of vanilla. The bottle, reminding me of my early morning reading moments; where I curled up by the window before the day starts. It's getting pretty chilly down here in Melbourne, and yet the Autumn sun is still warm, just like how the first spritz made me feel. 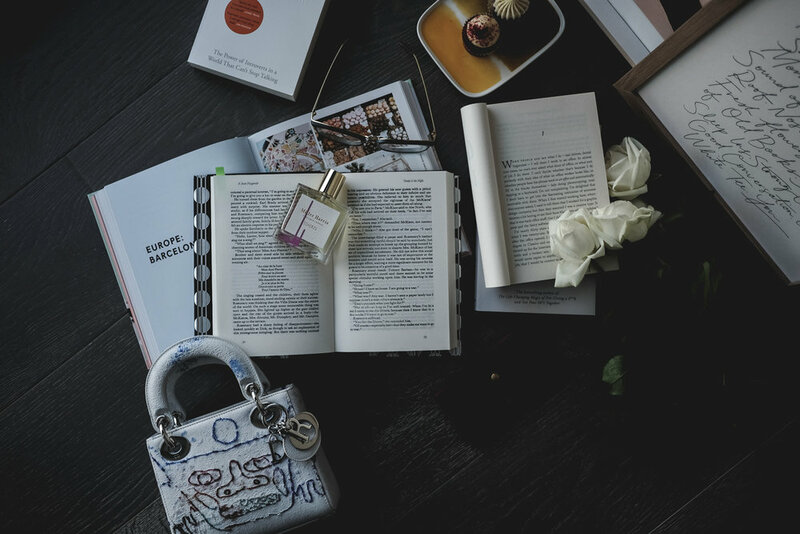 The scent blends perfectly with my quiet AMs, especially when I choose to have something sweet for breakfast while flipping through pages.